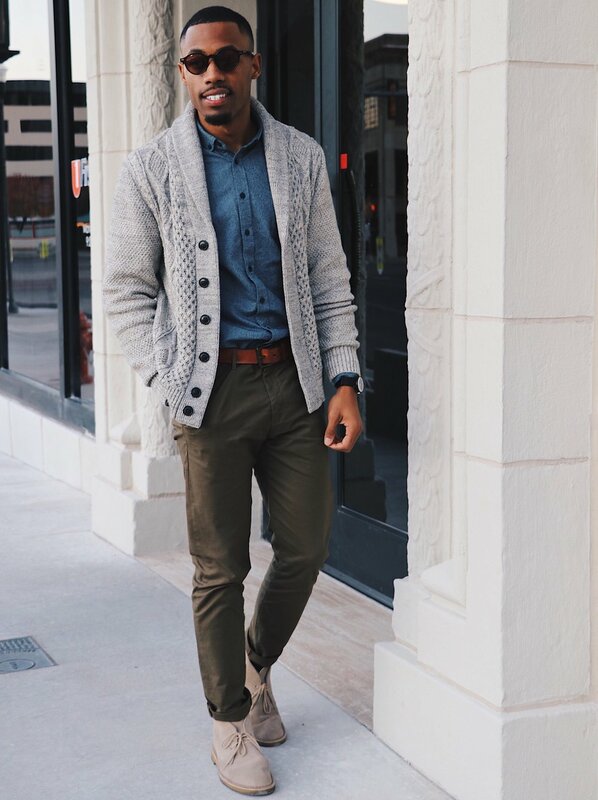 Cardigans are some of my favorite wardrobe pieces for the Fall. There are tons of styles, lengths, textures, and colors, you can truly find one that fits your style perfectly. My favorite of all cardigan styles is the Cable-knit cardigan like I’m wearing in this post. I’ve actually had this one for about 2 years now, and it’s still a go-to! This season I teamed up w/ TIMEX, once again!!! This amazing brand that I would recommend to all my readers to get there hands on. Timepieces are always great for tis’ season. This is by far a great timepiece to put together with anything such as your cardigan, even have it as a Christmas gift - Hint Hint (***inserts laughing emojis)! Here I’m showcasing the MK1 Aluminum / Black by Timex along with my Gap Cardigan and other pieces that I featured below. This timepiece is definitely a eye cathcher. Make sure you check out this amazing watch at Timex! Happy Holidays to all my readers!